1030 - 1061 Russian occupation of Dorpat (Tartu). lands completed by Feb 1227). 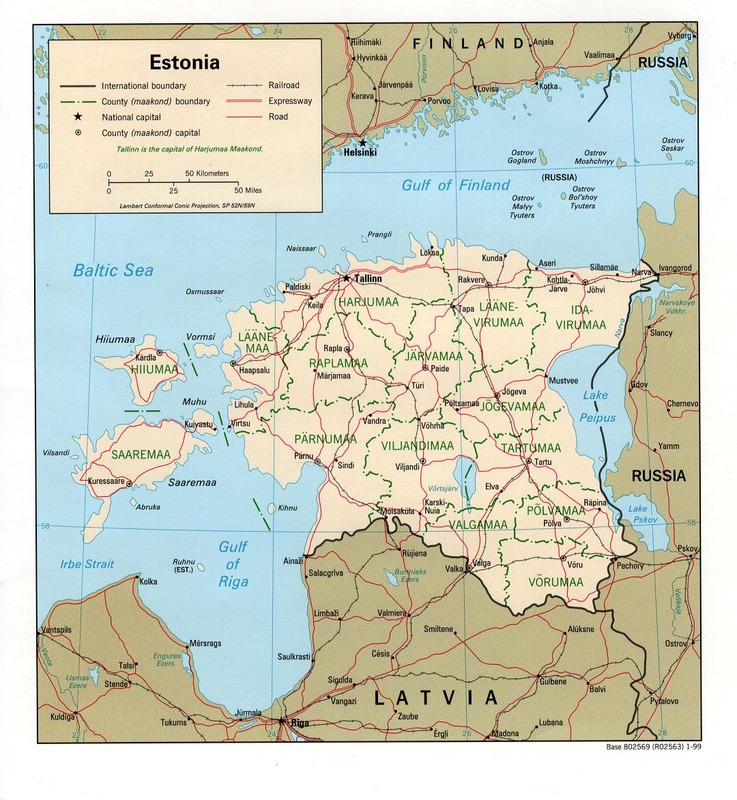 and northern part of present-day Estonia. the style of bishop of Leal to 8 Jan 1235.
informally known as the Livonian Order. the Teutonic Order until 29 Aug 1346. Pernau (Pärnu), and Fellin (Viljandi). (Grand Master relinquishes rights 14 Jan 1525). Order or the Poland-Lithuania until 13 Dec 1570.
until 1584) called Swedish Livonia. the Lithuanian principality of Livonia. and transfers it to the Poland-Lithuania. originally "Estonian Duke" (Hertig af Esthen). of "Prince of Estonia" until 1917.
to Russia by the Treaty of Nystad. 14 Jul 1783 Province of Estonia, local autonomy is abolished. 26 Sep 1885 Russian made the official government language. Nov 1917 Bolshevik government abolishes autonomy. (b. 1892 - d. 1947). Pärnu on 23 Feb 1918). (notionally part of a Baltic State [see Latvia]). 11 Nov 1918 Republic of Estonia (restored). 28 Nov 1918 - 19 Jan 1919 Soviet Russia occupies Narva; in Võru to 1 Feb 1919. 17 Jun 1940 Occupied by the Soviet Union. 6 Aug 1940 Incorporation into Soviet Union (not internationally recognized). Republic of Estonia restored on 21 Sep 1944. 22 Sep 1944 Soviet re-occupation of Tallinn. 16 Nov 1988 Declaration of state sovereignty. 20 Aug 1991 Independence declared. 6 Sep 1991 Independence recognized by Soviet Union. 1470 - 1471 Dietrich von der Dorneburg, gen.
¹The government set up on 15 Sep 1992 declared its intent to "continue to preserve constitutional continuity until the actual end of the occupation," referring to the large number of Russians living in Estonia. Russian troops were present in Estonia until 31 Aug 1994. The former exile government gave its mandate to the constitutionally elected government in Tallinn. The new exile government set up on 15 Sep 1992 is not recognized by any nation. Noble titles: Greve/Graf = Count; Friherre/Freiherr = Baron; Herzog = Duke; Grossherzog/Velikiy Knyaz' = Grand Duke; Knyaz' = Prince. Territorial Disputes: Russia and Estonia in May 2005 signed a technical border agreement, but Russia in Jun 2005 recalled its signature after the Estonian parliament added to its domestic ratification act a historical preamble referencing the Soviet occupation and Estonia's pre-war borders under the 1920 Treaty of Tartu; Russia contends that the preamble allows Estonia to make territorial claims on Russia in the future, while Estonian officials deny that the preamble has any legal impact on the treaty text; Russia demands better treatment of the Russian-speaking population in Estonia; as a member state that forms part of the EU's external border, Estonia implements strict Schengen border rules with Russia. originally without any temporal authority (Ecclesia Tarbatensis). continues to use the style of bishop of Leal to 8 Jan 1235.
c.1280 Dorpat (Tartu) becomes a member of the Hanseatic League. 18 Jul 1558 City of Dorpat (Tartu) surrenders to Russian forces. 18 Jul 1558 - 15 Jan 1582 Russian occupation of the former bishopric. remains part of Livonia [see Latvia] until 12 Apr 1917). 24 Jul 1704 Dorpat occupied by Russia. autonomous part of the government of Estonia. 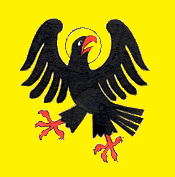 bishopric) of the Holy Roman Empire (formally from 1 Oct 1228). (approved by Holy See 8 Jan 1235). 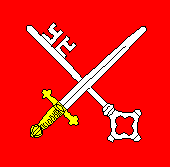 1229 - 1234 Ruled by the Bishop of Riga and the Swordbrothers Order. Holstein (elected to bishop 13 May 1560). Livonian territories on the islands, including Soneburg. Duchy of Estonia on 1584). which thus remained a nominal part of Empire. style of "Prince of Ösel." completed (formally ceded by Sweden to Russia 10 Sep 1721). administered by the governor-general of Livonia to 1781. 14 Jul 1783 Autonomy abolished, remains part of Livonia to 12 Apr 1917. 17 Sep 1944 – 24 Nov 1944 German occupation of islands continues after evacuation of Tallinn. 6 Aug 1940 Accession to the Soviet Union. language from 7 Dec 1988). Note: Estonian with Russian names in parentheses. Note: Soviet resistance, consisting mainly of straggling party-members and soldiers, organized into partisan units subordinated to the Central Staff of the Partisan Units in Moscow.